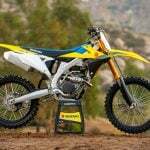 Hopefully, we can get a chance to test Bridgestone’s new BATTLECROSS E50 sometime in the near future. 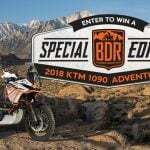 Leveraging the experience and technologies gained through the development of tires for off-road riding, BATTLECROSS E50 tires from Bridgestone have been designed to deliver high traction and cornering performance on a variety of road surfaces as is required in enduro competitions. 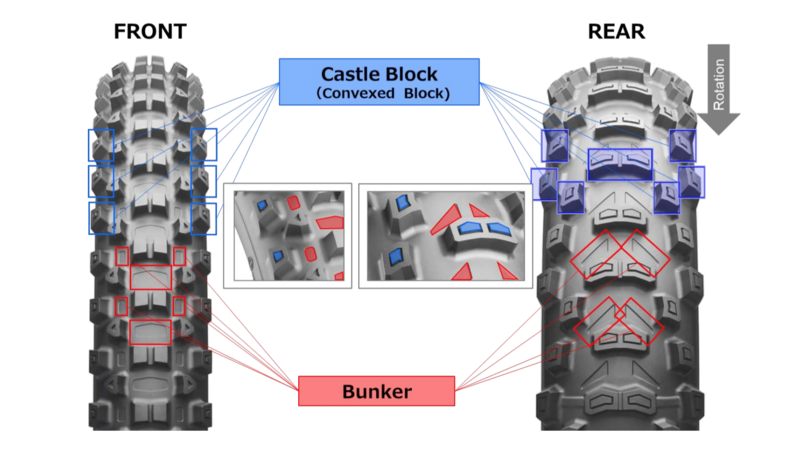 The tires employ the company’s proprietary Castle Block technology to ensure effective grip, even on slippery surfaces. 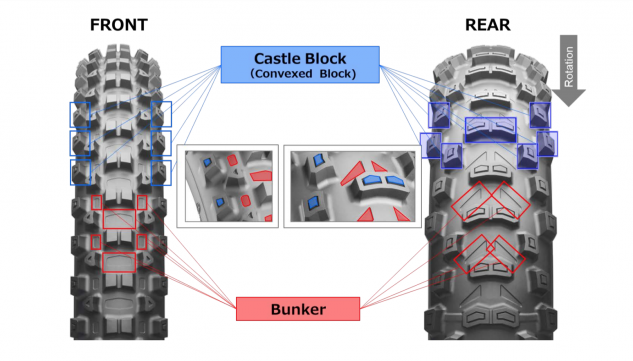 A specialized edge, called a bunker, located at the base of the tread blocks enables BATTLECROSS E50 tires to exert strong traction on soft surfaces. 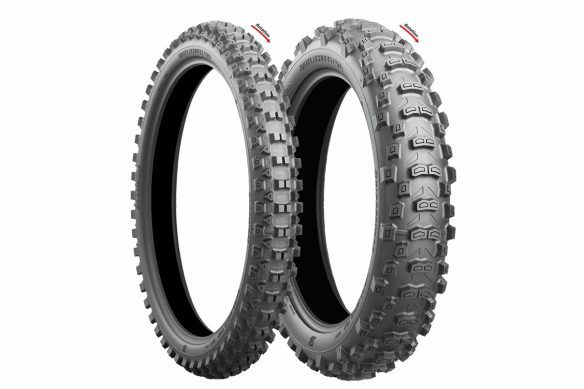 Bridgestone also used 3D simulations to optimize the shapes and positions of the tread blocks to deliver higher levels of cornering performance in the BATTLECROSS E50 front tire and enhanced traction performance in the BATTLECROSS E50 rear tire. 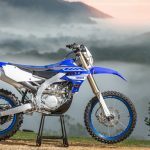 Bridgestone is committed to supporting motorcycle riders with its broad range of motorcycle tires including off-road tires. 1. Castle Block (Convexed Block) Surfaces such as stones or logs buried in soil and rain-drenched surfaces can be extremely slippery. The Castle Block profile incorporates secondary tread blocks that protrude from the conventional tread block profiles to increase total edge components and improve contact pressure on slippery surfaces for enhanced grip. 2. Bunker The bunker enables the edge portion at the base of the tread block to exert traction even when the block is submerged in a surface. About Bridgestone Corporation Bridgestone Corporation, headquartered in Tokyo, is the world’s largest tire and rubber company. In addition to tires for use in a wide variety of applications, it also manufactures a broad range of diversified products, which include industrial rubber and chemical products and sporting goods. Its products are sold in over 150 nations and territories around the world.